“Does My Furnace Air Filter Really Need to be Changed?” | AAction Air Conditioning & Heating Co.
Well…yes. But we won’t stop there. We’re happy to explain why this is the case, and just what it is that you get from regularly cleaning (if you have a permanent filter) or changing your air filter every 1-3 months as needed. First off, if you have a traditional HVAC setup, with a central air conditioner and a central furnace, then it’s very likely that your two units share an air filter. And this air filter isn’t there to protect your indoor air quality either (despite popular belief) but rather the inside components OF those HVAC systems. So true, it may seem a bit early to be talking about your heating system, but because of the shared importance of your air filter, we feel this is a pertinent topic no matter the time of year. 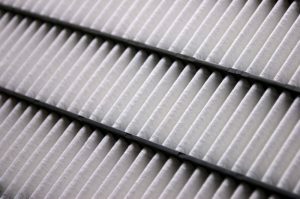 Your HVAC air filter is certainly something our technicians check during maintenance. But if you’re only getting your air filter changed or cleaned every 6 months, this is a problem. The majority of HVAC maintenance tasks are in fact best left to the professionals. But your air filter is something you can and should be managing on your own. You pay too much to heat your home: This is because a clogged up air filter causes your furnace to have to work harder to do its job, and the more strained the heater is, the more energy is expended and the more you pay. You’d probably be surprised by just how much a dirty air filter can negatively impact the performance of your furnace. Imagine blowing through a straw, and then blowing through another that has a bunched up wrapper inside of it. It would, of course, be harder to blow through the latter. That’s what’s going on when your air filter is too clogged, and that conditioned air is struggling to reach your home’s interior. You strain the furnace: We explained this a bit above with our first point, but we really can’t express how big of a toll a dirty air filter can take on your heating system. We’ve seen plenty of furnace systems that suffered undue wear and tear due to clogged air filters, and we’ve repaired plenty of them too! Your indoor air quality suffers: True, we mentioned above that this air filter isn’t actually in place to protect your indoor air quality, but rather the inside components of the furnace itself. However, that doesn’t mean your indoor air quality won’t suffer at all in the event of a dirty and clogged air filter. Dirty air filters can allow unfiltered, contaminated air to pass around the filter if the resistance is great enough. Airflow always follows the path of least resistance. Therefore, the dust and dirt that the air filter otherwise would have trapped will instead be blown into your living space, where it can aggravate the symptoms of those who suffer from allergies and asthma and make even the healthiest person sick. When you need professional Savannah, GA heating services, don’t hesitate to contact AAction Air Conditioning & Heating Co. Inc. We’ll do a quality job at a fair price!